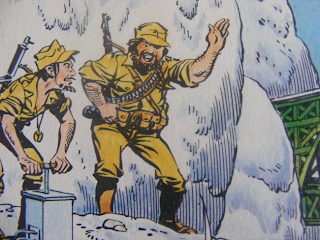 Welcome to the second installment of my exciting new feature 'Comics I Read Last Week', where I unsurprisingly talk about comics that I read last week. Print or digital, old or new, if I read it in the last week it goes here. 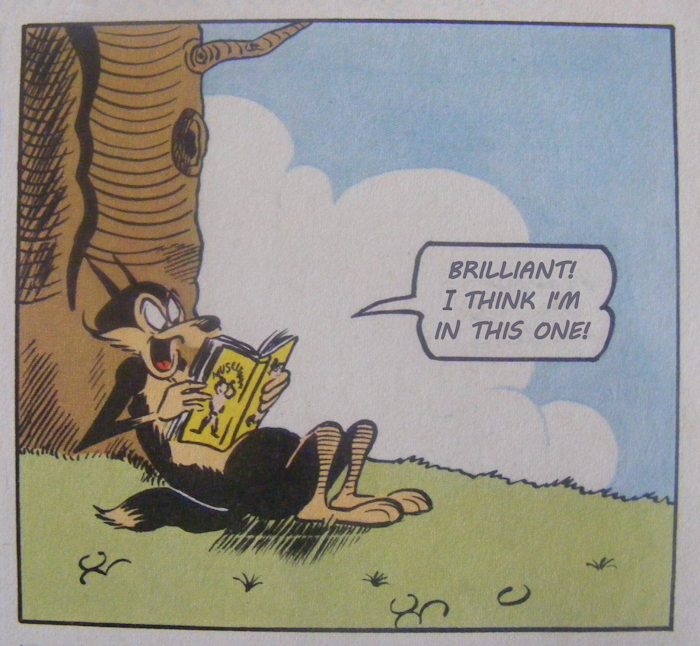 Webcomics don't count though unless I've done a massive archive trawl, because really, who wants to hear me talk about the same twenty or so comics ever week? How boring would that be? Anyway, to the first of the week's comics! Right, now I've got that out of the way onto the review. Alongside IDW's normal Friendship is Magic title, featuring longer stories set over 2-4 issues, there's the Micro-Series comics, single stand-alone issues concentrating on one character, or in the case of the Cutey-mark Crusaders issue a group of characters, and whilst the longer stories are nice not having to wait a month to finish a story does have its advantages too. 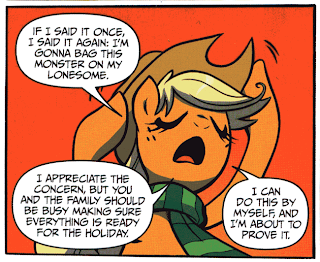 And Applejack being Applejack it works out exactly as well as you'd expect. Will she ever learn? Probably not. Of course things go much better when she lets the rest of the family help. It's a fun, well written issue with a decent little twist and well worth grabbing if you happy to be a bit of a pony fan. So I did say I was going to be doing webcomics and this one is on the web, but it is released in issue form and comes out every couple of months and is a continuation of a print comic that bit the dust back in 2002, so I think it's okay. Sonic the Comic, for those that don't know, was the UK's officially licensed Sonic the Hedgehog comic (with other Sega characters in some of the back-up stories) published by Fleetway Editions / Egmont Magazines. The title launched in 1993 and was one of the publisher's best sellers, but was killed off by publisher stupidity after they implemented their five year reprint cycle, the idea being that five years was the average reader turnover and so most of the readers wouldn't have ever read the reprints. This policy was stupid for multiple reasons. 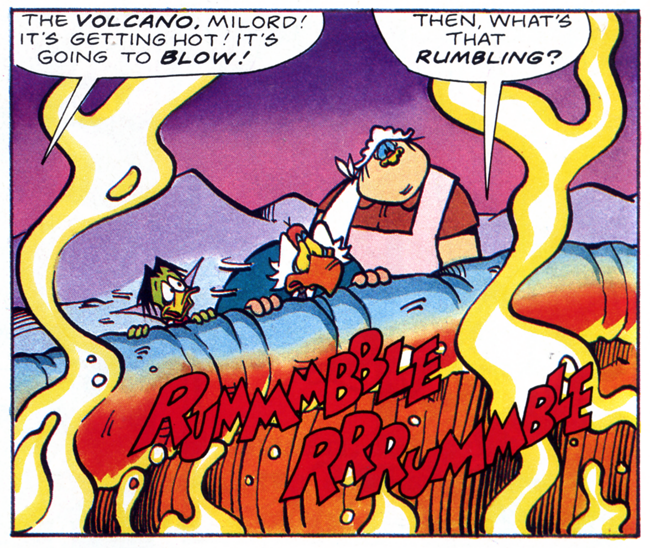 With a set coninuity and plenty of callbacks to earlier issues running reprints alongside new stories didn't really make a whole lot of sense and from issue 185 to issue 223 the comic just ran reprints with no new content at all. Then it got canned because nobody wants to keep buying the same stories over and over again. 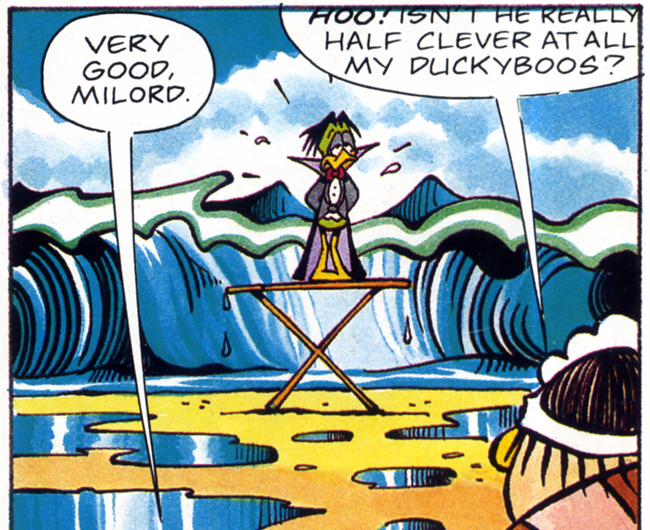 Jump forward to May 2003 and issue 224. 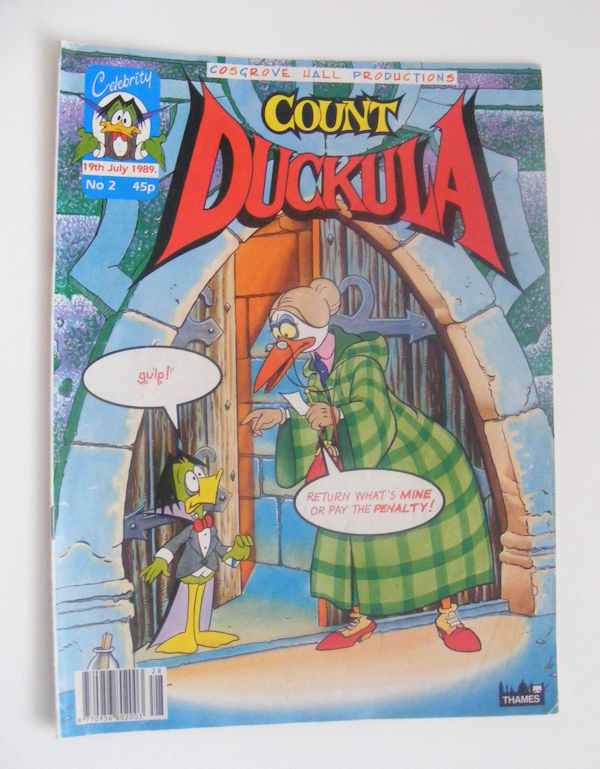 Except issue 224 wasn't published by Fleetway/Egmont, wasn't available in newsagents, wasn't officially licensed and most importantly wasn't a whole bunch of reruns. 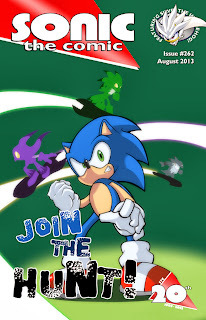 A fan run affair, though wih the support of some of the original comic's staff Sonic the Comic online carries on where issue 184 left off with a whole bunch of new stories. Issue 262's a good one with three stories, a seven page lead story and two five page back-ups. It doesn't update all that often, but most of the stories are worth a read or three and with 43 standard issues and 11 specials to read there's plenty to keep you busy. I stumbled across this one on Kickstarter. It looked cute, sounded fun and any support of a dollar or more got you a digital copy of the first issue. A cute all ages comic about a kitten for a dollar? How could I pass that up? Of course I paid more than a dollar, but you know, it was still a very good offer and that's what matters. 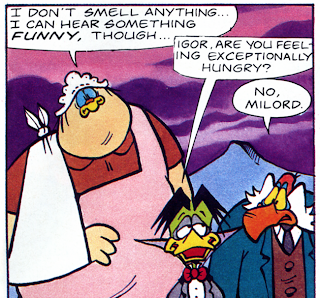 Did I mention how cute this comic is? Little Yellow Kitten (that's what L.Y.K. stands for you know) is adorable. An absolute troublemaker, but adorable all the same. 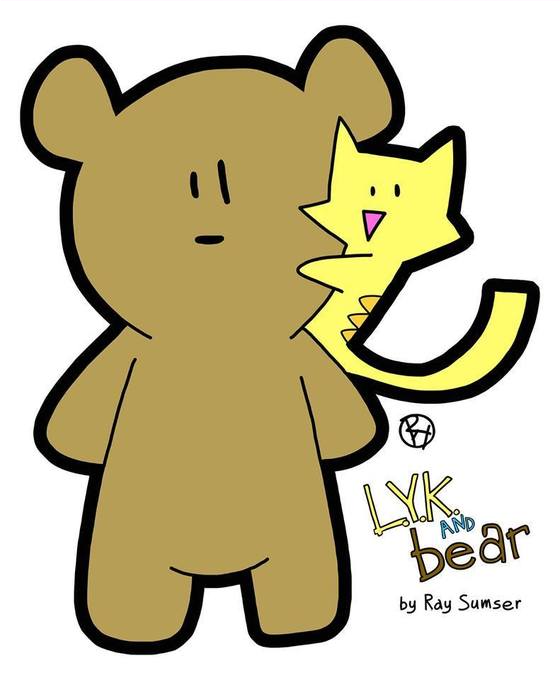 Bear is also pretty damn cute and the two of them are based on Sumser's cat and childhood teddy bear (who he still has of course) and knowing that somehow just makes the whole thing even more adorable. The art style is simple, bright and cheerful and the story has a sort of freewheeling anything goes quality to it. Little Yellow Kitty is hungry. You'd think this would be a simple thing to fix, but no, the fridge is empty and the person who should be able to do something about that is missing and maybe, just maybe something got broken and now L.Y.K. and Bear have got themselves in a spot of bother. I have one issue with this issue, well two I suppose. One: There are a couple of Twitter messages shown on one page. One of them contains the hashtag #FML and the use of that acronym that I know ain't all that all ages. Yes, it's just an acronym and no, it doesn't use any actual bad words, but I still wouldn't want to be the one answering the question when a kid asks what it means. Two: You can't seem to buy it yet if you haven't backed the Kickstarter. 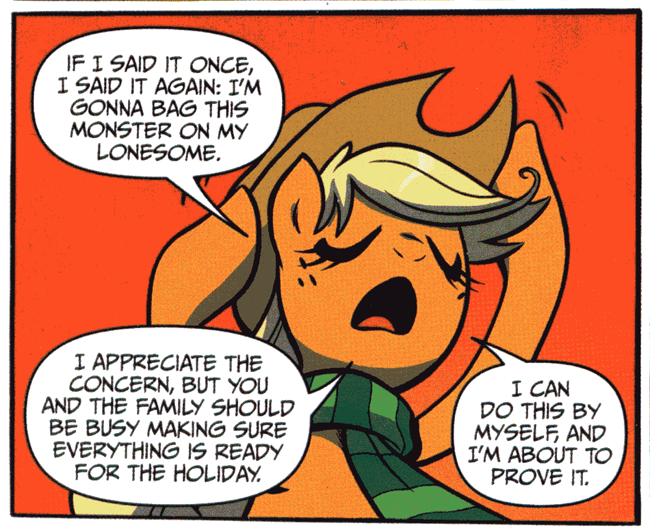 So yeah, generally a great, fun and cute little comic that I would recommend, but that you can't seem to buy right now. Ah, Duckula. 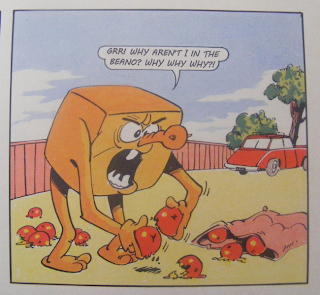 You've gotta love old Cosgrove Hall cartoons. 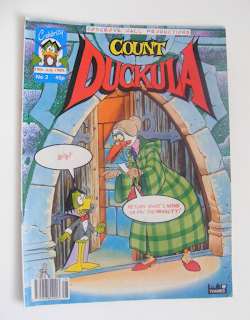 There are three different Duckula / Count Duckula titles that I know of. One published by Marvel, one published by London Editions and this one by Celebrity. I've never read the Marvel one, but between this one from 1989 and the London Editions one from 1990 onwards, this one doesn't fare all that well. It's not the art that's a problem. The art's spot on. It's not the writing either. The writing's great. There's a single story comic, a one page gag strip and a two page prose story (which would have fitted easily onto one page if they didn't use such a huge typeface). "Before him, on the threshold, drenched with rain and lit by flashes of lightning, stands a gruesome figure. It is eight feet tall. and spectre-thin, wrapped in black robes. The face is harrowing and fierce, half-moon glasses perched on a hooked beak. The grey hair is drawn up in a bun." That's a pretty fair description of the character on the cover I'd say, except for one little problem. Black robes and grey hair? Hmm... Nope, I definitely see green robes and light brown hair. There is clearly some kind of communication problem here. Was the writer working from an inks only version of the cover image or did the artist draw it based on the writer's description and then hand it off to the colourist without any direction and where is the editor in all this? 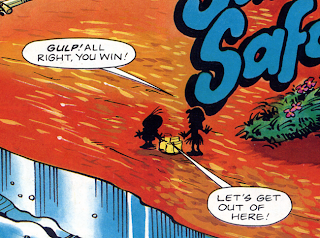 Then there's the speech bubbles. Somehow they've managed to include pretty much every mistake you can get. 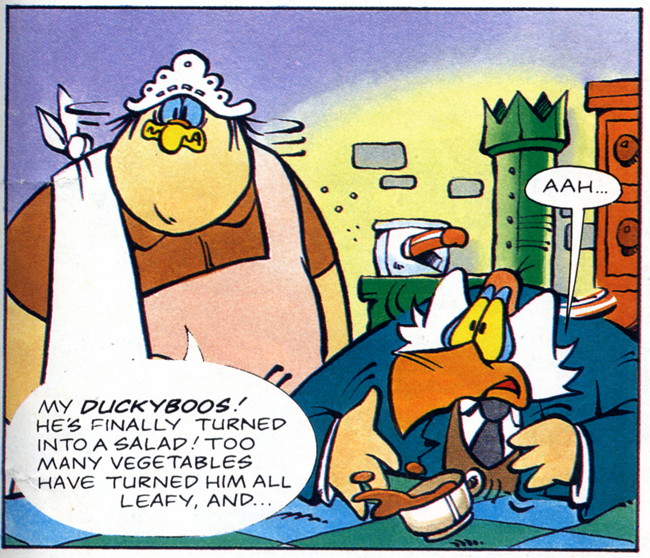 The writing and art are both spot on for a Duckula comic. This should be a great comic, but it's a mess. I blame the editor. 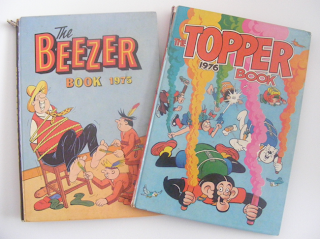 When I was a kid the Beezer and Topper was one of my absolute favourite comics. 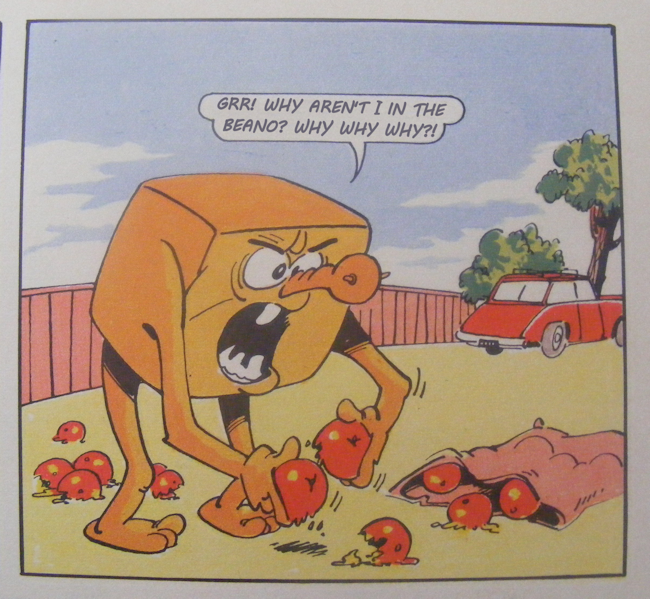 Unfortunately not that many people seemed to feel the same way and in 1993 it was canned with its more popular strips being picked up sister comics The Beano and The Dandy. The Dandy of course has gone the same way now, leaving just the Beano. 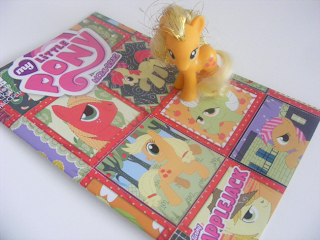 Before that though there was The Beezer and there was The Topper, two completely seperate comic that were eventually forced together becaue neither of them were selling quite as well as they used to. Back in the '70s though? Back in the '70s they were doing just fine. I picked up these annuals for 50p each along with a few old Dandy annuals, Beano annuals and even an old Denis the Menace book. Bargain. 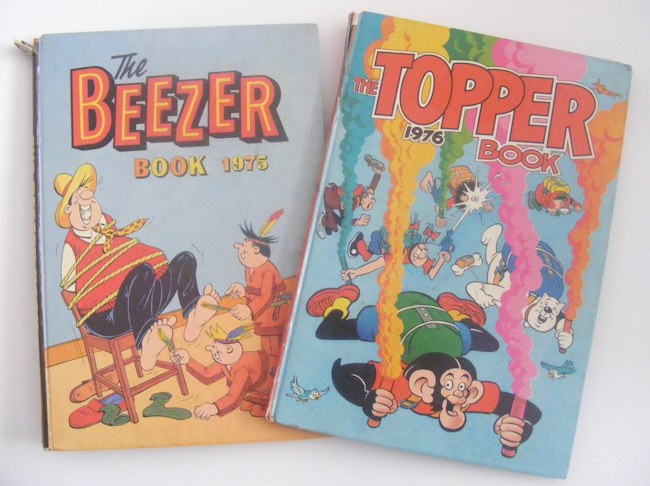 Being the older one, and because the comic I used to read as a kid was called Beezer and Topper, I'll start with the Beezer. It's an interesting read, a mix of stuff I remember, stuff I've never seen before and stuff that I sort of remember, but not quite that way. One thing that hasn't changed all that much is The Numskulls, a strip about little people that live inside someone's head and basically run the whole show. 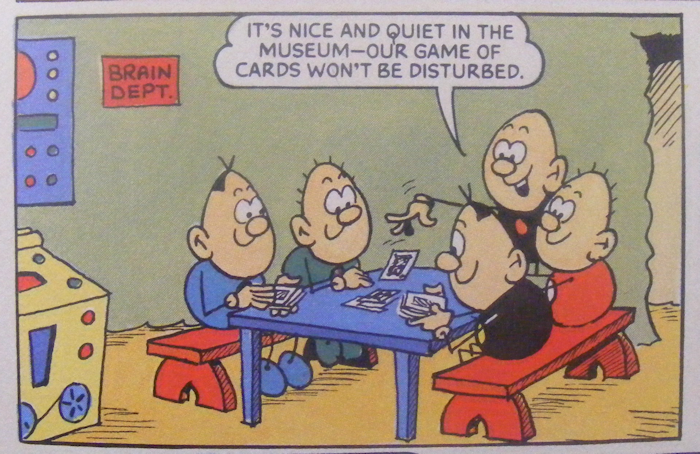 The Numskulls is still running in the Beano. 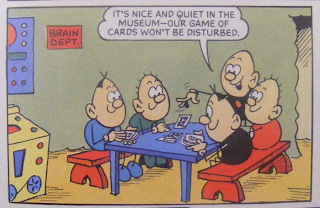 These days they run a boy named Edd, but back in 1975 they were in control of a balding man who liked to viit museums. 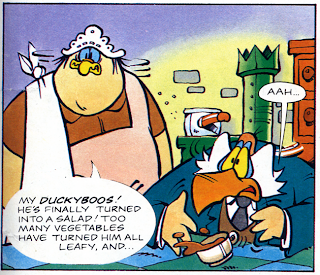 The character designs have changed slightly, but not all that much. One that should have survived, but didn't is Black Bun. An adorable little bunny rabbit beating up a farmer. Who wouldn't want to read that? 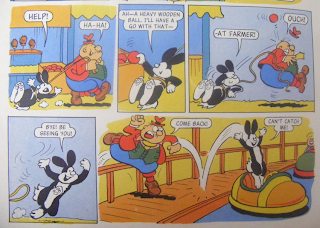 I think we should all campaign for DC Thomson to bring back this lovable little lagomorph or at the very least get them to put out a best of volume, because the world needs more comics about rabbits. Yes. Yes, you are Foxy, twice, and you manage to do it without any hugely offensive stereotypes. Well done. The big survivor from this book is this young lady. 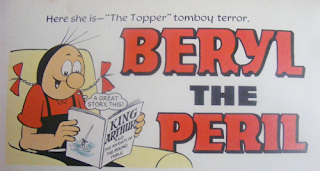 Beryl the Peril (unsurprisingly created by David Law, the same guy who came up with Dennis the Menace) managed to stay in print from 1953 to 2007 when she was finally dropped from the Dandy. It'd be fun to see her brought back alonside Dennis. They're very, very similar characters. I'd like to see them try and outdo each other. 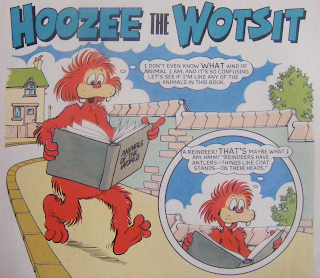 Hoozee the Wotsit, the Dr Seuss-ish thing who doesn't even know what he's supposed to be himself didn't fare so well though. 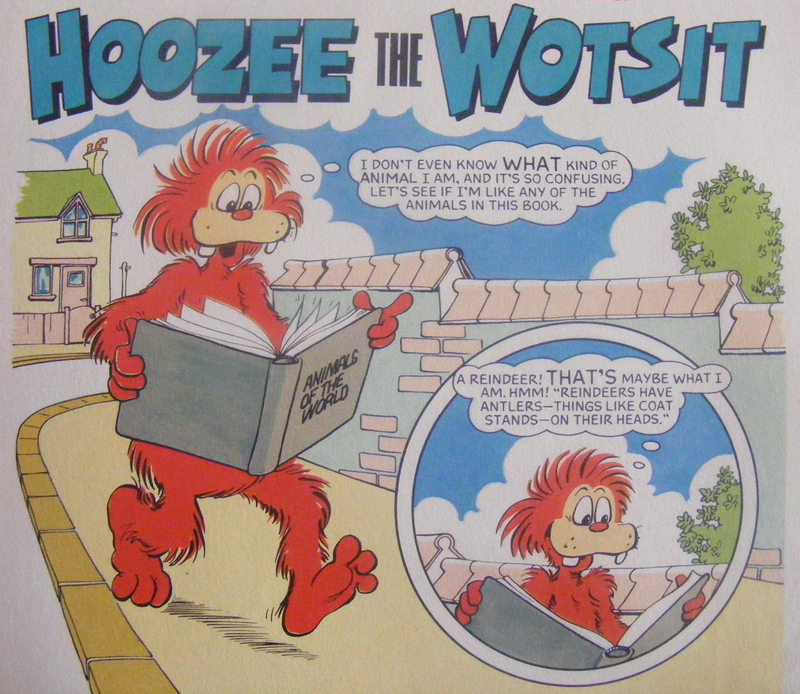 Is it just me or does this character from The Fabulous Whizzers from Ozz look a bit like Fidal Castro did back in the '70s? He's a rebel leader trying to blow up a railway bridge belonging to a British run mine, which currently has children crossing it. Later in the story he gets punched out by a remote control flying car. Subtle it ain't. Well, that's all for now. Next week expect more My Little Pony, some Adventure Time and the better Duckula comic, plus whatever else I feel like reading. In the meantime I'll be organising the campaign to bring back Black Bun.